Saturday is where things really take off. On Friday the main Banjo stage would have been a fine place to park your blanket to get the most for your musical enjoyment and Saturday is also the case. 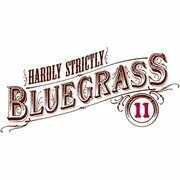 Greensky Bluegrass, Alison Brown, Earl Scruggs, Gillian Welch and Dave Rawlings and Steve Earl. The last few years The Arrow Stage has been the place for Texas performers and this Saturday follows that theme – featuring The Band of Heathens, Ryan Bingham & The Dead Horses, Reckless Kelly and The Flatlanders (Joe Ely, Jimmie Dale Gilmore & Butch Hancock) The crowning jewel of this day is the legendary Kris Kristofferson & Merle Haggard performing together on the Star Stage at 2:20.